Product categories of Air Conditioning System, we are specialized manufacturers from China, Air Conditioning System, Air Conditioning Unit suppliers/factory, wholesale high-quality products of Air Conditioning Control Panel R & D and manufacturing, we have the perfect after-sales service and technical support. Look forward to your cooperation! 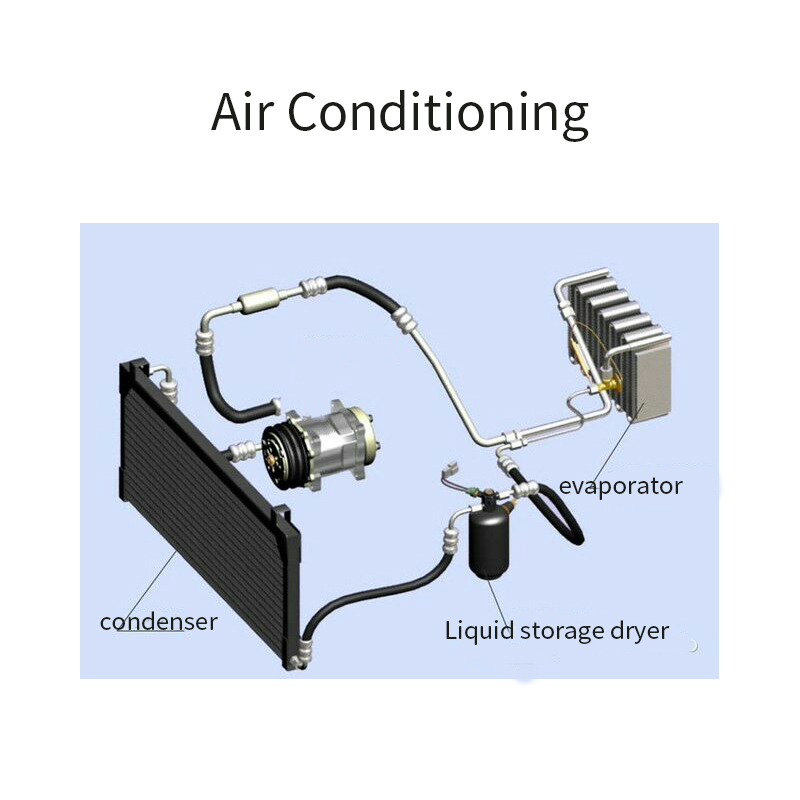 Car air-conditioning system is to achieve the air in the compartment refrigeration, heating, ventilation and air purification device. It can provide passengers with comfortable ride environment, reduce the fatigue strength of drivers and improve the safety of driving. 1, according to the driving mode is divided into: independent (dedicated one engine-driven compressor, large refrigeration capacity, stable work, but high cost, large volume and weight, used for large and medium-sized passenger cars and non-independent (air conditioning compressor driven by the Car Engine, refrigeration performance by the engine parts work, stability, poor, more for small passenger cars auto parts). 3, according to the control method is divided into: Fully automatic adjustment (using the calculation of the comparison circuit, through the sensor signal and the modulation signal control regulator work, automatic regulation of temperature and air volume) and computer-controlled automatic regulation (with microcomputer as the control center, to achieve a full range of car air environment, multi-functional optimal control and adjustment).